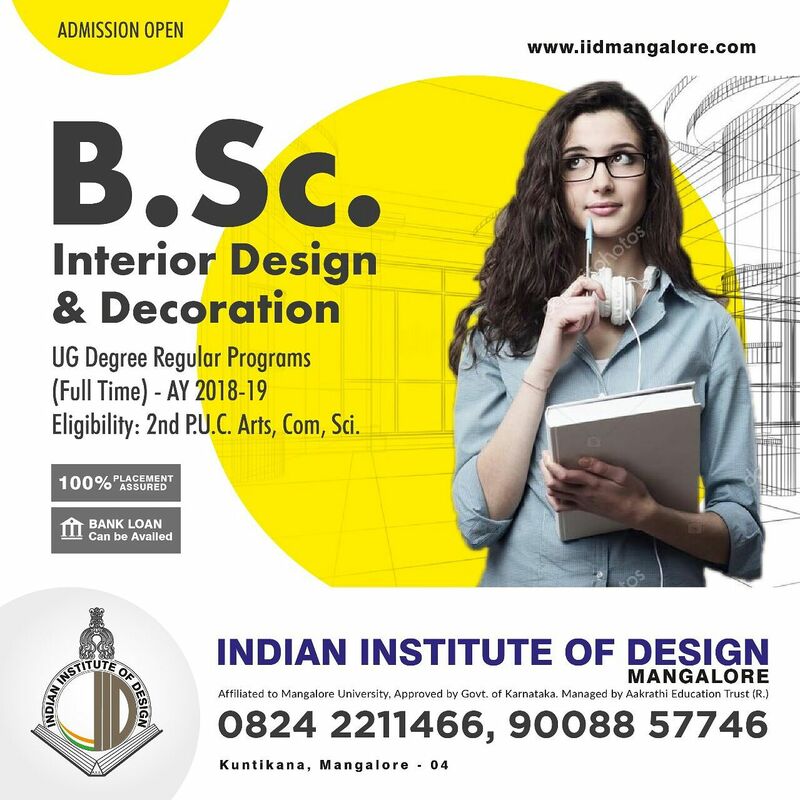 More than 15,000 hours of teaching expertise..
Indian Institute of Design Mangalore enriches our diverse communities through quality education and support so that students achieve their educational goals. Interior designing is a fast growing professional field with the real estate and construction industry playing a vital role in its growth. The B.Sc in Fashion and Apparel Design is a well rounded UG course that involves the Theoretical and Practical applications of Fashion Design, Technology and Management. IID Mangalore Offers 2 years full time programme for the Diploma in Fashion Design. 1. Our students are life-long learners in a global society. 2. Our employees are empowered to achieve the college mission. 3. Our community recognizes the college as its cornerstone of learning.